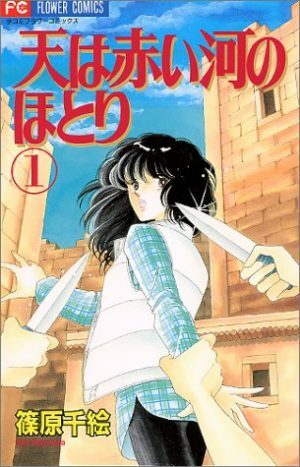 If some of you readers think of Shoujo in the 1990s, one of the top titles you probably think of are Sailor Moon and Cardcaptor Sakura, and adding to these ranks is Yuu Watase’s Fushigi Yuugi. 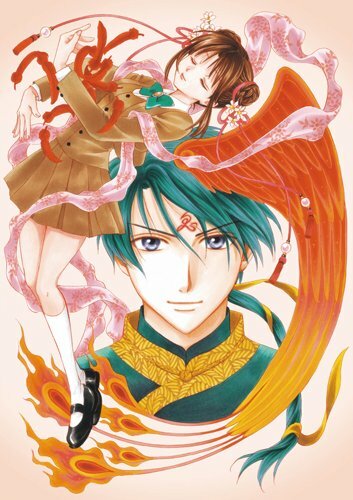 While it had its prime in the 1990s, Watase-sensei continues its legacy in recent years with prequel mangas about the Byakko no Miko and the Genbu no Miko, which take place 50 years before the original Fushigi Yuugi. 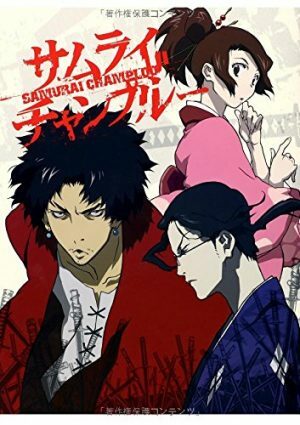 The series has become a multi-media hit with an amazing anime and a stage play. The debut of Fushigi Yuugi centers on 1990s Japanese teen, Miaka Yuuki, an average student who is trying her best to get into Jonan, a prestigious high school. However, those plans are put on hold when Miaka and her best friend Yui visit the library and find a special Chinese fairy tale in a secluded section of the library. 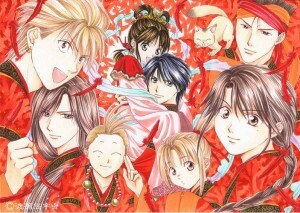 After reading the first paragraph, Miaka and Yui find themselves in the book and become mikos of separate kingdoms and become bitter enemies. If they can gather their seven warriors, they can summon the god of their kingdom and make any wish come true. But on their separate journeys, they go out on dangerous adventures, make amazing friends, and find true love. A majority of its universal appeal is that it offers something for everyone. It has action, adventure, comedy, and romance and they are perfectly balanced together. So for today’s 6 Manga Like, we would like to share some manga similar to this Shoujo classic. 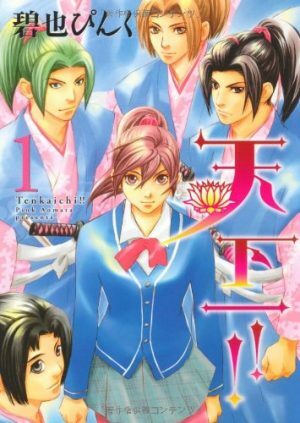 When you read this title, you probably think of the Tenka Ichi Budokai from the Dragonball saga, but Tenka Ichi literally means number one on under Heaven (or on Earth). In this manga, Tora Takei, our main character, has just barely started high school and unlike her other classmates, her father doesn’t allow her to have a cell phone so she feels left out compared to her peers. But she’s about to get a history lesson first hand when she finds herself in the period of Oda Nobunaga’s rule during medieval Japan. Upon arrival, she is sold into slavery and is forced to disguise herself as a man so she can spy on the legendary Nobunaga himself. Without any way of knowing how she can get home, she takes the job. While most mangas we have listed tend to be more magical and mythical in nature, this series takes a much more realistic approach. In fact, the manga tends to share notes in conjunction to the historical accuracy of what happens in the events of this manga. While most of the female characters in this list have the safety of protectors and/or magic powers of her own. Tora has to rely on her wit and a need to survive. So if you’re looking for something that is more oriented to historical accuracy, this is a great recommendation for you. Noriko Tachiki is an unassuming average schoolgirl who was just trying to figure out what to do with her life. However, life seemed to have other plans for her when an explosion forces her to some mysterious fantasy world of magic and dragons. Shortly after her arrival, she encounters and slowly befriends Izark, a lone wolf who has the power to make others hate him, but she still falls in love with him. In this crazy world, every kingdom is setting out to find a power called the Awakening, which gives the possessor the ability to control the Sky Demon, the most powerful being in that world. And what’s the worst news someone can hear? Noriko happens to be the Awakening! And to tops things off, Izark happens to be the human incarnation of the Sky Demon itself! Upon their initial encounter, Izark sees that Noriko is unaware of her fate as the Awakening. Even so, it doesn’t stop them from falling in love with each other despite all the obstacles that are put in their way. 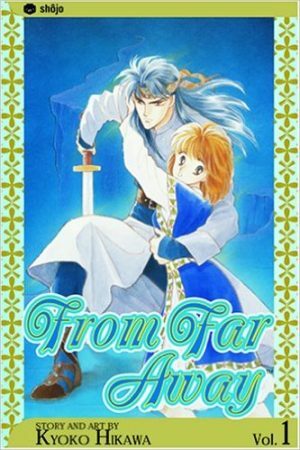 While this is a list that is about manga like Fushigi Yuugi, this manga happened to debut shortly before it. Even so, they share numerous qualities but express them in different ways that can make it fresh to fans of each franchise. While the manga of Fushigi Yuugi finds a way to get around the language barrier, Izark actually teaches Noriko the language of his world. The individual traits and relationship between Izark and Noriko share a good number of parallels of that between Miaka and Tamahome, but they go through their own unique trials because of the dynamics of their assumed destinies. So if you thought if Fushigi Yuugi was emotionally provoking, then Haruka Kanata is likely to offer readers a fresher take on that. But if there is one unfortunate crime in relation to this series, it is that it has no anime adaptation. Just imagine if this series had not only color but also a very excellently composed soundtrack with excellent voice acting. 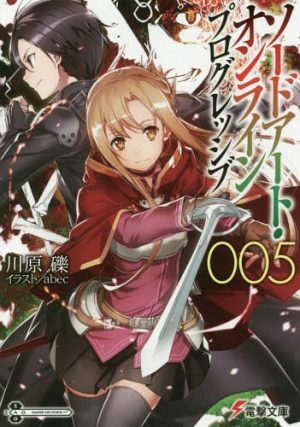 Considering the manga is complete, let's hope an anime is possible in the future. Like all girls listed in today’s list, Yuri Suzuki was just your ordinary school girl when suddenly, she finds herself in a different place and at a different time. So in Sora Wa Akai Kawamori no Hotori, where does our leading lady get spirited away to this time? The Hittite Empire in Ancient Anatolia and in case you didn’t know, it’s where modern day Turkey is located and the time period is a little over a thousand years before the birth of Christ! And to make things worse, the Queen wants to sacrifice Yuri and use her blood to place a curse on the other princes of the land so her son can be the only man to take the throne. With the help of Kali, a prince that the Queen wants to eliminate, Yuri can escape her clutches. But due to being from the future and with her knowledge, she is often mistaken as a Goddess from the mythologies of that time period. Even with her own dangers, Yuri can’t help but find herself also helping other people in need. Will true love conquer, or will she go back to modern Japan? 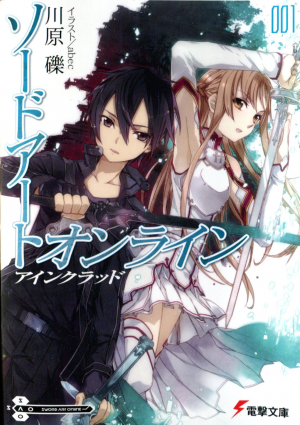 If you want to know, read this manga to find out! Compared to Miaka, Yuri has her own unique sense of development. While Miaka can mostly rely on Tamahome and her seven celestial warriors, Yuri learns to defend herself be learning archery and sword fighting. While Miaka has no athletic background, Yuri was an accomplished gymnast and her background gives her more flexibility in being active in the action. And while Fushigi Yuugi dwells more into fantasy elements, Sora Wa Akai Kawamori no Hotori also takes influence from history such as the Anatolia Empire’s rivalry with the then ancient Egyptian Empire and how Yuri is trying to help fix things. Some say it’s bad to mess with history regardless of intentions, but let's say if it’s your only way home, would you do it? Maybe by reading this manga, you might find some justification in playing with the timeline. 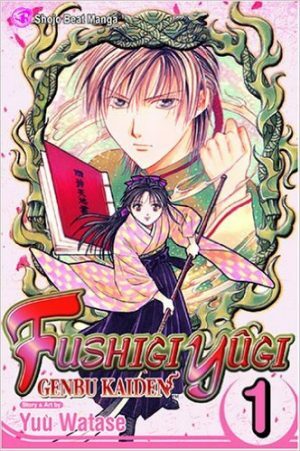 Any Manga Like Fushigi Yuugi ? 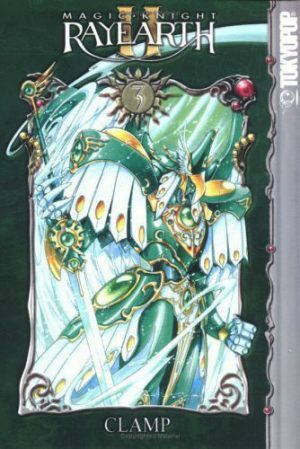 While Cardcaptor Sakura became CLAMP’s big name towards the end of the 1990s and at the start of the 2000s, they made their previous big splash with Magic Knight Rayearth. Magic Knight Rayearth tells the story of three junior high girls from separate schools, Hikaru, Umi, and Fuu. While their schools were visiting Tokyo Tower for a field trip, a flash of light hits the observation deck and before they know it, these three strangers are falling from the skies and find themselves surrounded by flying islands and whales. They also immediately meet a mage named Clef, who shares with them their purpose the world of Cefiro as magic knights, who use magic to save their world from Zagato and his minions. If they don’t, then they can’t go back to Tokyo. Try to imagine Sailor Moon meets Fushigi Yuugi and that’s what you kind of get with Magic Knight Rayearth. Like Fushigi Yuugi, you have 9th-grade girls who are trapped in a different world, but the cast of Magic Knight fight like superheroes upon being giving elemental powers, while Miaka has her seven warriors to fight in her stead. The series focuses a lot on relationships between the main trio and the people they encounter in the world of Cefiro. At times, they even try to help their enemies by befriending them. Ultimately, both series focus a lot on themes of friendship, which is what makes both stories beautiful. Both series captures readers with heavy emotion and make them care about its cast of characters. There will be moments you will laugh and moments when you will cry, which is why we recommend Magic Knight Rayearth. Based on the PlayStation game by Ruby Party, Harukanaru Toki no Naka de tells the tale of Akane Motomiya, your average teenage girl from Kyoto. While on her way to school one day, she hears a voice from a well from an abandoned mansion and follows it. That voice happens to be that of a demon, and he transports her to Kyo, an alternate version of 10th century Kyoto. In this world, she becomes the Ryuujin no Miko, so she can protect the realm from the Onis. 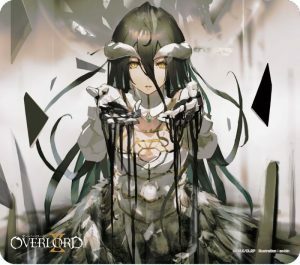 With her newfound powers, she can purify evil with her touch. Thankfully, she’s not alone as she has the help of her friends, Tenma and Shimon from her world, and the help of six others warriors of Kyo who are chosen to be her bodyguards. Just by reading the synopsis, Harukanaru Toki no Naka de is virtually almost like Fushigi Yuugi in every way you can think of, but with some slight differences. As opposed to ancient China being the setting, an ancient version of Kyoto is used which is also the hometown of Akane. As a matter of fact, it is very rare to see Kyoto used as a setting in anime or manga in comparison to Tokyo, so this brings something relatively new. While Fushigi Yuugi does loosely cover themes of prejudice, Harukanaru Toki no Naka de tends to cover it more in depth with the battle between the humans and the oni as a metaphor for it. Akane and Miaka share many traits by being good natured and at times having those qualities being their flaws, but they do what they do because they believe it’s the right thing to do. Throughout the 2000s, Rumiko Takahashi became an international household name with Inuyasha. During the sixteenth century, demons and humans lived together, but humans lived in fear of them. However, for our titular Inuyasha, a half-breed between a human and a demon is an exception and has a friendship with a village’s shrine maiden, Kikyou. After an unfortunate misunderstanding, they battle and cause havoc in the village. Kikyou loses her life and Inuyasha is forced into slumber by a magical arrow. 500 years later, 15-year-old Kagome Higurashi, the reincarnation/descendant of Kikyou now resides at the shrine in modern day Japan. While taking care of some chores, she accidentally finds an old well and falls down into it. Upon climbing out of the well, she finds herself in a time where 50 years have passed since the battle between Inuyasha and Kikyou. There, she finds Inuyasha still in his slumber and removes the arrow to awaken him. Due to her resemblance and relation to Kikyou, Inuyasha and Kagome have a very rough start. But thanks to understanding the truth of what led to their fight, which was started by another half-breed named Naraku, they set out on a journey to stop him once and for all. Just like Fushigi Yuugi and a good majority of the manga listed here, Kagome, the co-main character of Inuyasha is an average 9th-grade school girl finding herself in a different world (but in the case of Kagome, she can come and go as she pleases on a more frequent basis compared to Miaka). From there, she must go on a coming of age journey as she must save that world with the help of friends she meets along the way, and maybe find true love. 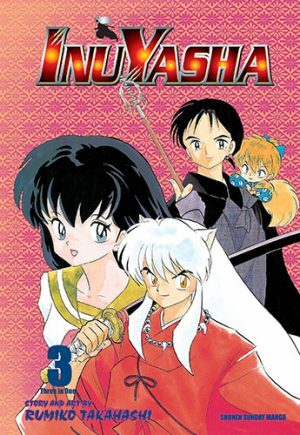 Inuyasha also has its own distinct supporting cast that adds a different flavor for readers to enjoy, and they each contribute to the development of the story. 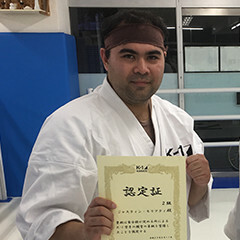 The action is also very exciting and has a unique sense of extremity. The relationship between Kagome and Inuyasha may not be as mushy as Tamahome and Miaka’s, but if you’re familiar with Rumiko Takahashi and how she approaches romance by expressing it through hostility like in Ranma, you’re going to get the same with Inuyasha. In addition to the six we listed, we would like to make some honorable mentions to Sailor Moon, Jushin Enbu, and Escaflowne. Thanks to Fushigi Yuugi, the international anime and manga fanbase have very great stories that express themselves as Japanese versions of Alice in Wonderland. Some girls find themselves in a completely different dimension, and there are some that find themselves in the past. Each of them is given a role to play in that world. In some instances, it may affect their home world, but in some instances, it may not. Either way, they must do something if they want to return home. While some of the characters featured are introduced as Average Janes, they use this journey to discover themselves, make new friends, save the world, and find true love. While the manga we listed all share these traits, we cannot deny that their differences in executions are what makes them exciting and brings something fresh to it. 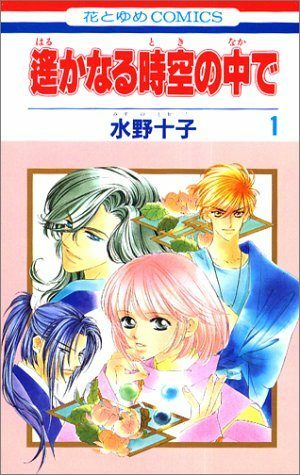 So what are some of your personal recommendations of mangas like Fushigi Yuugi? If you have any ideas or additions, please leave yours in the comments.